I got my first pigs in California today. They were little but they will taste great. 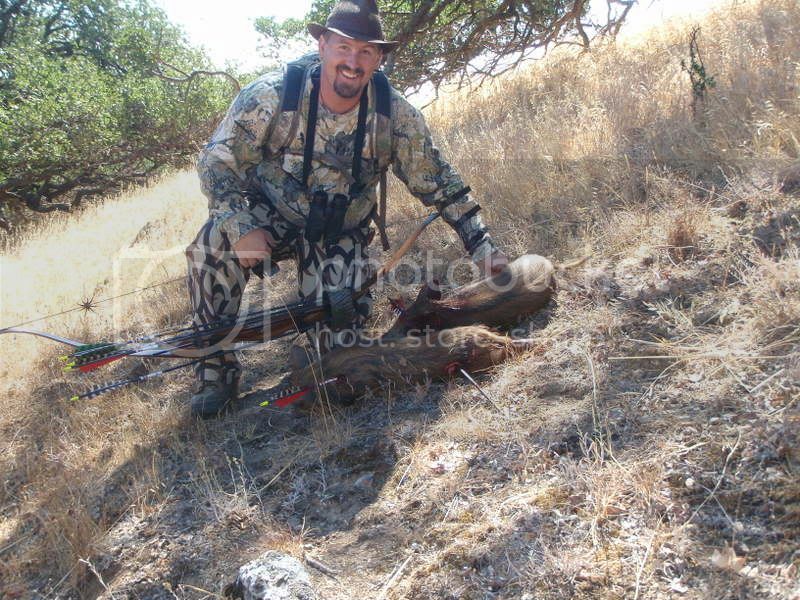 Shot at the biggest one and got a second one as well with the same arrow. Those are going to be great eating. Not an easy target, those things move constantly. Great job and nice photo! Man I want to get out for some truely wild hogs!!! Those look tasty!